If your phone call is not answered, please leave a voicemail so the Falany Staff may return your call as soon as possible. Thank you for your understanding that the summer staff is limited. 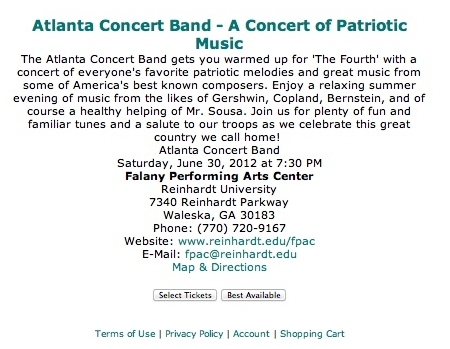 After selecting the concert you wish to attend, click "Select Tickets". 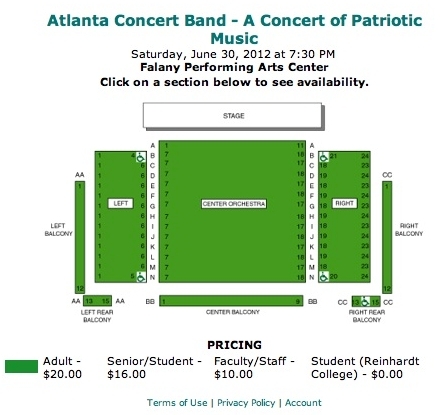 Select which seats you would like for the performance by scrolling over the area to see what is available. 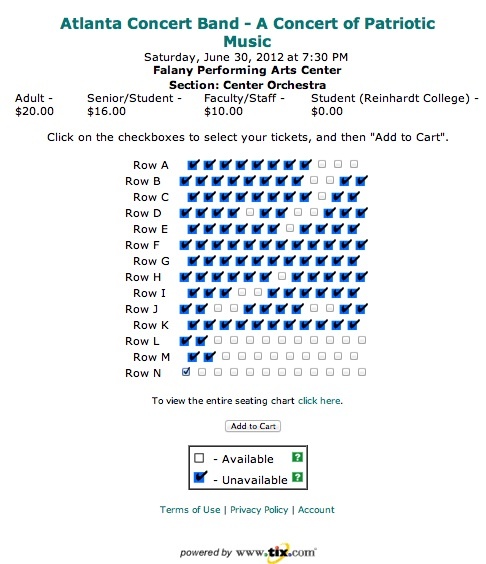 To select your seat, click in the white squares that represent where you would like to sit. Once you have selected your seat, the following screen will show you the prices. To select your price bracket, click on the drop down shown here. Once prices are shown, select which is appropriate for you and click "Checkout". 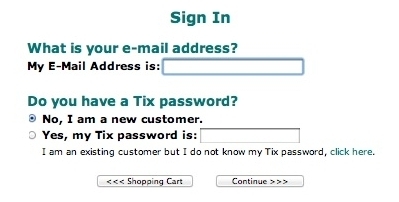 The following screen will take you to your established Tix.com account, or it will ask for new guests to register. 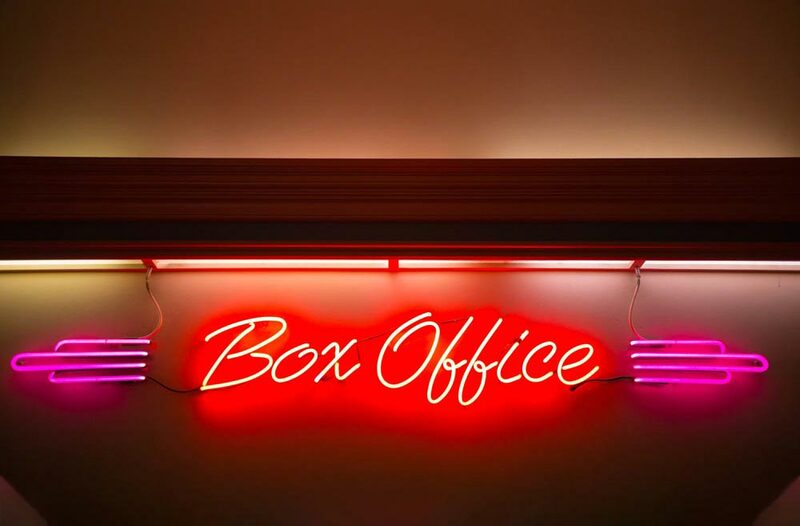 Here you will finish purchasing your tickets.